Dry Weight 4.6kg, Bar Length: 18"
Inertia Chain Brake, Adjustable Automatic Oiler, Anti Vibration Engine Mounts, Chain Tensioner Located in Guide Bar Cover. Dry Weight 4.2kg, Bar Length: 16"
23.6cc 4.58Kg Length 1.42 Metres. Replaces M112972. 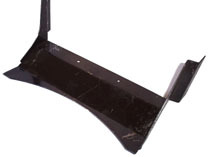 Requires 1 blade for 21” cut mulching models GX145BE & GX145B. The mulching plug is designed to enable the mower to mulch. As shown above the rear flap (discharge guard) is lifted (same way as when you fit the catcher) and the mulching/ discharge plug is inserted. Tip: For best results when using this attachment, always cut anti-clockwise. Heavy Duty wheel for 19” & 21” cut buffalo models. Nothing but good feedback on this product. Enables the Honda Self-Propelled Model to Mulch. See Details Under HRU195 Mulching Plug. The Products listed on this page are meant for example only; please phone for parts on any make or Model. Converts a rear-bag mower to side-discharge using a 90° elbow mounted on the back of the mower. If the lip of your catcher is broken/worn, this metal Catcher repair plate can be used. Above, is an illustration. We have outlined the plate in the 2nd image for better illustration. They are unfortunately not very photogenic. Requires 1 of MB350 & 1 MB351 for 36” cut rear discharge. Requires 3 Blades for 54” cut side discharge. Requires 1 blade of MB351 & 1 of MB350 for 36” cut; rear discharge. Requires 2 of MB352 & 2 of MB353 for 42" cut lower mulching system. The Products listed on this page are meant for example only; please phone for any parts on any make or Model. Requires 2 of MB353 & 2 of MB352 for 42" cut lower mulching system. Requires 1 of MB348 & 1 of MB349 for 42" cut; rear discharge. Requires 3 of MB348 for 62" cut side discharge. R/H stepped & fluted. Requires 1 of MB349 & 1 of MB348 for 42" cut; rear discharge. Requires 1 of MB354 & 1 of MB355 for 48" cut R/H stepped & fluted. Requires 1 of MB355 & 1 of MB354 for 48" cut. L/H stepped & fluted. Requires 3 Blades for 52” cut models. R/H Stepped & Fluted. Air Lift for 30” cut Ariens blade. Also fits Ariens, Bolens, Gilson, MTD, Murray, Roper, Snapper, Toro & many other applications. Spring mount – centre plate with ½”-13 Weldnut. MEDIUM BACK: Suits Many ride-on and tractor Applications. HIGH BACK: Suits many ride-ons. One hole bolt patter ½” –13 and 12 hole pattern 5/16”-18 clinch mounting nuts. Includes universal mounting bracket & hardware. Heavily padded seat back provides maximum support for the lumbar area of contractors back. !! Seat Covers Also Available !! Fast & Easy cutting of small trees & branches, heavy weeds and long grass. Ideal for overhead pruning of trees and shrubs. 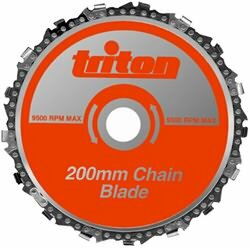 Chainsaw chain can be sharpened with a chainsaw file or replaced with CBA002 replacement chain after many sharpenings. Suitable for petrol-powered brushcutters with 20mm or 25mm (1”) arbors, which accept the use of steel blades. Other Parts Available For Chain Blade: Connecting Links & W/shop chain tensioning tool. Please Note: The above prices go on weight, therefore the price remains the same for each diameter. e.g. "PRO 4" .095" 1 Pound Roll will cost the same as "PRO 4" .155" 1 Pound As it is priced on weight rather then quantity or length. High Quality Square Brushcutting Line That Lasts. Long life, ROUND Co-Polymer Formula trimmer line. PAL TRIMMER LINE - Premium Heavy Duty Nylon Cutting Line. Long life DIAMOND (Square) 4 cutting edge Co-Polymer formula trimmer line. MAXI CORE TRIMMER LINE - A Revolution with inner strength! Co-extruded inner core. Resists breaking, Made in France. Reduces Smoke By 90%, Vapor lock by 90%, Also Reduces oil consumption by 84% and Reduces surface wear by over 50%. Abrasion free run-in. Eliminates shock load damage. Stops over-heating. Off season corrosion protection. Easier Starting. Fuel stabilisation up to 24 months, extra corrosion protection, engine and carburetor detergency, easy staring, and exclusive top cylinder and valve lubrication. One satchel (40ml) treats up to 10 litres of fuel. OPTI is Recognised as a world leader in High Performance Lubrication. Locks blade to make removal & Installation safer and easier. Clamps to mower deck and prevents blade from rotating. Suit Bar Blade applications. Breaks #35 thru #50 chain professional quality. Long hardened steel punch forces pin all the way out precisely. Bench mounted saw chain breaker and bar rivet remover. A simple inexpensive tool – sharpens chains and sets depth gauges. Suits all ¼”, 3/8” .325” and .404” pitch chains. Made of reinforced, washable, canvas material. Adjustable straps and plastic snap buckles. Cool comfortable and sturdy lower leg armor with boot spats. Multi-Purpose, extreme pressure grease in applicator bottle as used on brushcutter shafts, chainsaws, etc. Rapidly removes varnish, oil, gum, sludge and carbon deposits to restore carburetor efficiency. Dries quickly, without leaving a film. 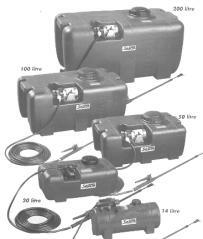 Can also be used on choke valves, automatic choke controls, carburetor exterior, linkage and heat-riser valves. Fuel Stabilisation up to 24 months, extra corrosion protection, engine and carburetor detergency, easy staring, and exclusive top cylinder and valve lubrication. One satchel (40ml) treats up to 10 liters of fuel. Dramatically improves air filter efficiency. 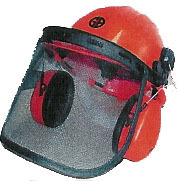 Suitable for small engine pre-cleaners and chainsaw filters. As of this year, Echo has brought out a range of models with the start system. This system is designed to allow easy starting, with minimal effort. When you pull the rope, a spring is wound, and when the spring is tight enough, it will turn over the engine for you. Echo Received the Gold Award to I-start at Urbavert 2001, France. And Also Received and Award from Power Equipment Australia Magazine. We hope to have video of this up on our website soon, you just have to see it to believe it. If We haven't got it: We'll get it! That's our commitment to you!